“Live in the rock, die in the rock,” is the saying many people refer to the lives of people in the Rocky High Plains. To me, after the experience of the Stone land, one thing surprised me was the fact that people in the two sides of the intersection of the fort and at the foot of the Ma Phi Leng Pass, Meo Vac district holding a “record “ that no one wants, they cultivate, living in one of the most dangerous places in Vietnam. 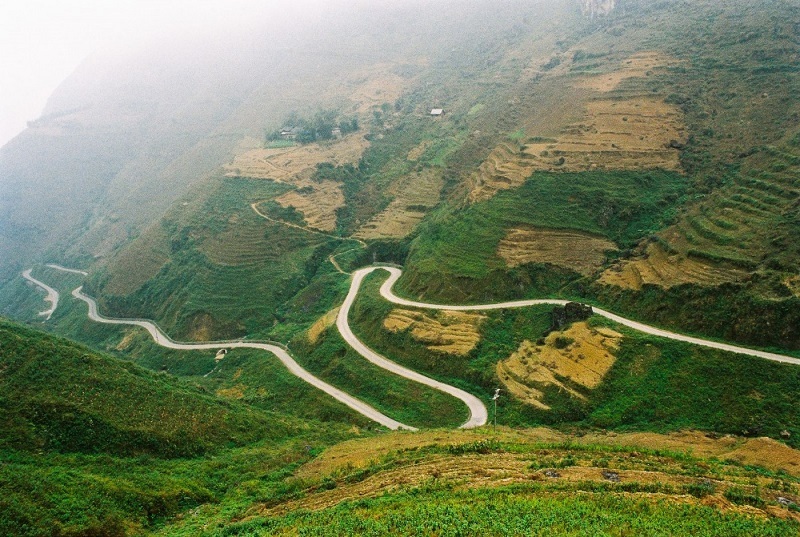 Ma Pi Leng Pass, located between Meo Vac Commune and Dong Van, is a 15-kilometer canyon road above the Nho Que River, which weaves its way like a silver ribbon through limestone ravines. 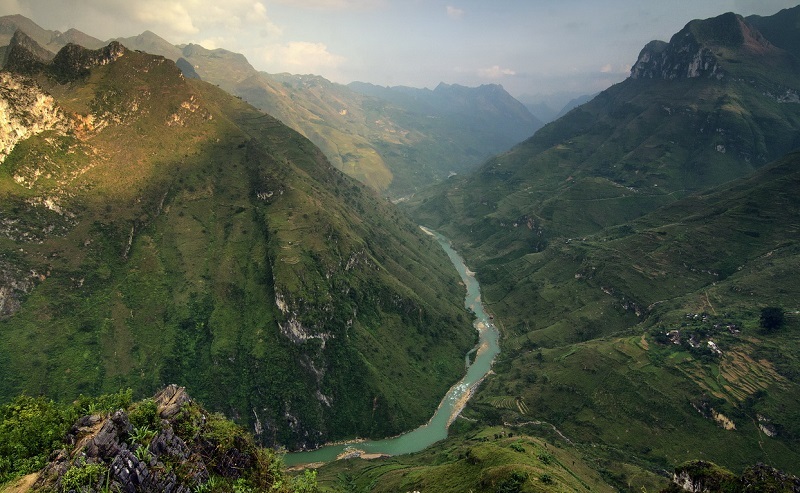 The pass' peak is aptly named Cong Troi (Heaven's Gate), and is the best place for tourists in Vietnam travel to enjoy a panoramic view of the valley below, particularly on a late afternoon when you can see a beautiful sunset overlooking the river. Ma Pi Leng is at the height of nearly 2,000m above sea level. The construction of Ma Pi Leng (which takes the form of a crouching horse) began in the 1960’s, and was said to be done almost entirely by the H’mong people. In the beginning, to accomplish their tasks, construction workers had to carry explosives and move along the sides of the mountain by securing themselves to ropes. The earliest passes were wide enough only for horses pulling carriages and people to walk through. It wasn’t until much later that the authorities allowed the widening of these passes. Just a few years ago, the paths at Ma Pi Leng were extremely bumpy and riddled with stones. They were also not wide enough for two cars traveling in opposite directions. On the mountain pass in Meo Vac, trees are scattered; along with stones, which have been lonely through years and centuries. Mong aborigines are in favor of living in mountain tops, or at least along the sides of the mountains. They absolutely refuse to move to the plain. Neighbors take a half of day to walk from this mountain to other to visit each other.